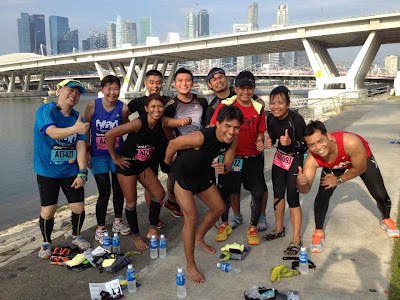 It was quite an action-packed weekend with 2 running events happening back to back on Saturday evening and Sunday morning. As usual, we had our carbo-loading session the day before the race. 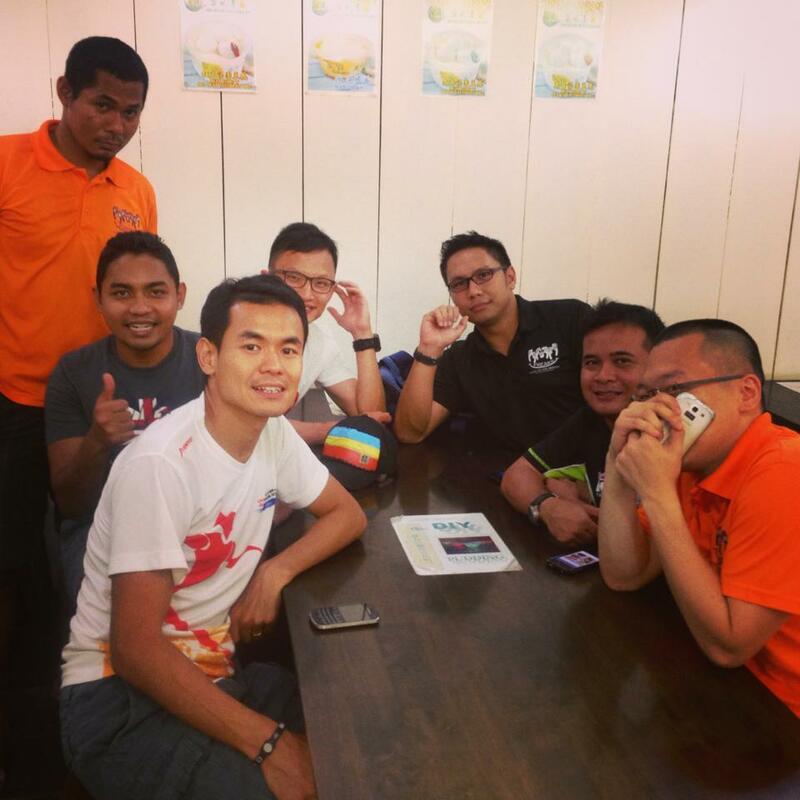 It was also a time to chit-chat with other Freaks on the plans for the race the next day. 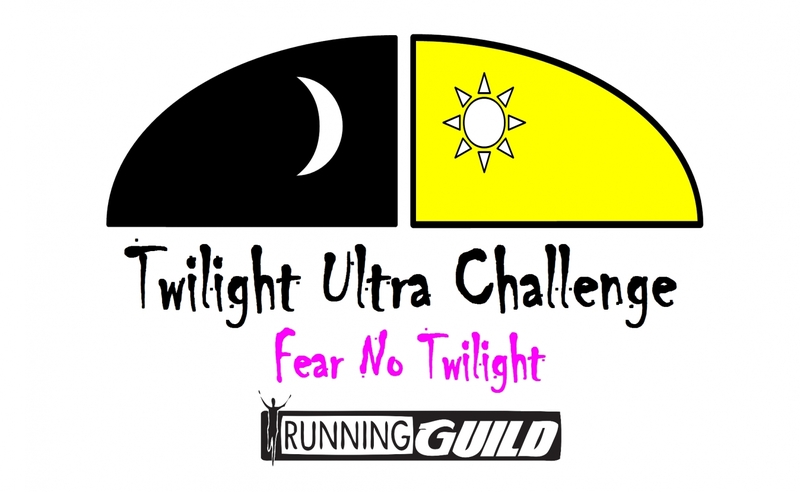 On the day of event for Twilight Ultra Challenge, there was a suprise runner that joined the event at the last minute. 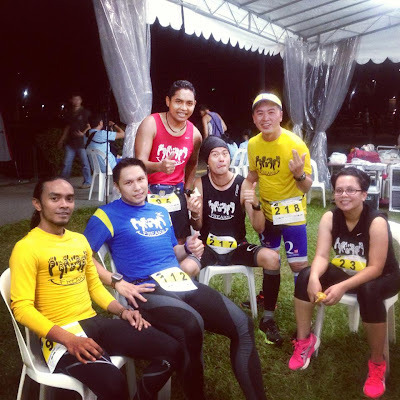 Started at 7pm, runners have to run in loops till as long as they want. Please refer to the lady in bib number 23 !! Her name is Sasha and she shocked most of us in this group. Maybe we'll wait for her race review over the next few days. It has been humid for the past few days and I believed it was tough for them to run through the night in this kind of weather. 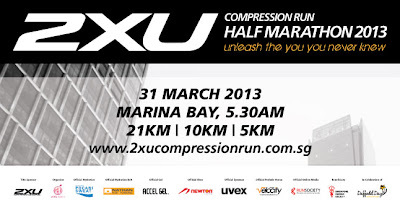 The next day, a number of us joined the 2XU Compression Run 2013. 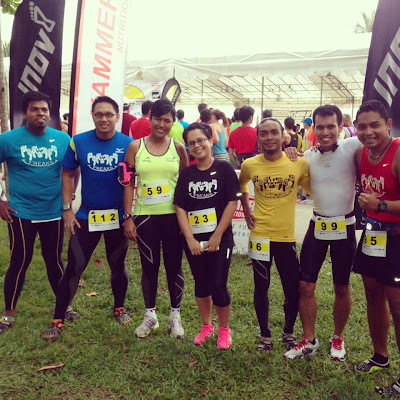 Most of us joined the 21km category. Once again, the humidity and the hot sun were a killer. 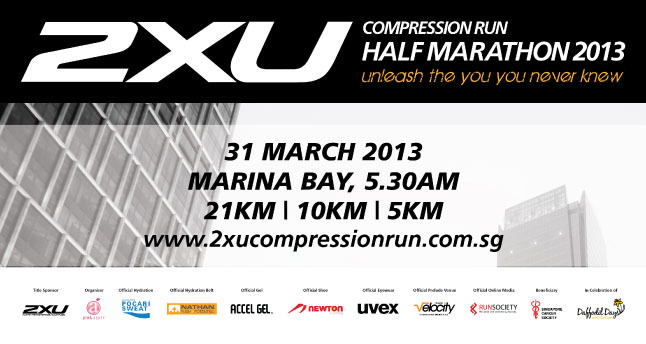 But thank God, the 21km run was flagged-off at 5.30am. It was a success for all the runners that joined in both events. 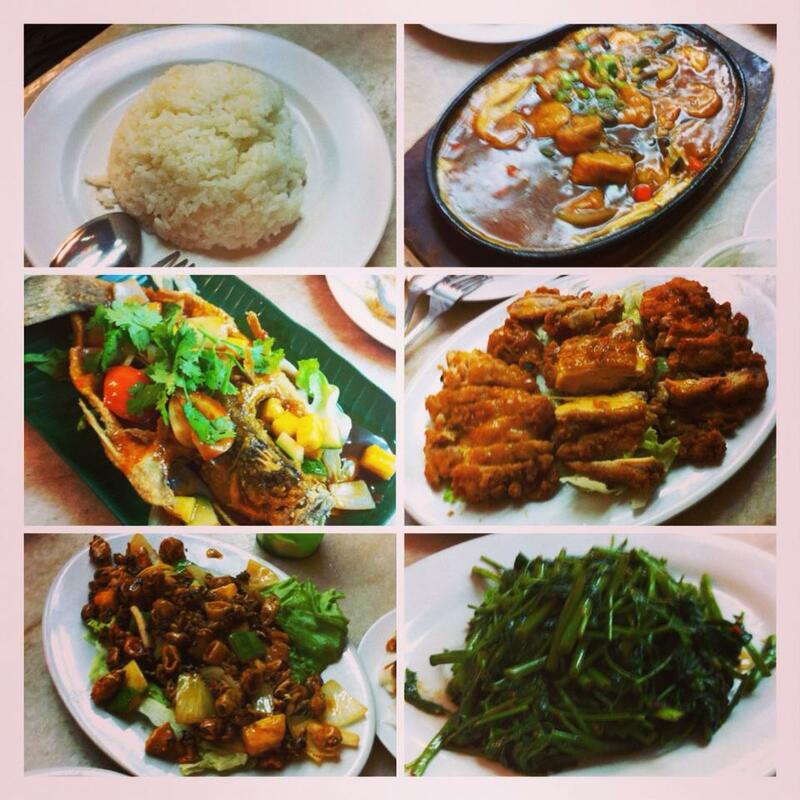 More reviews on the events coming up soon.